For years we’ve been dreaming of taking our travel club here and have finally been able to create the best adventure we could imagine! 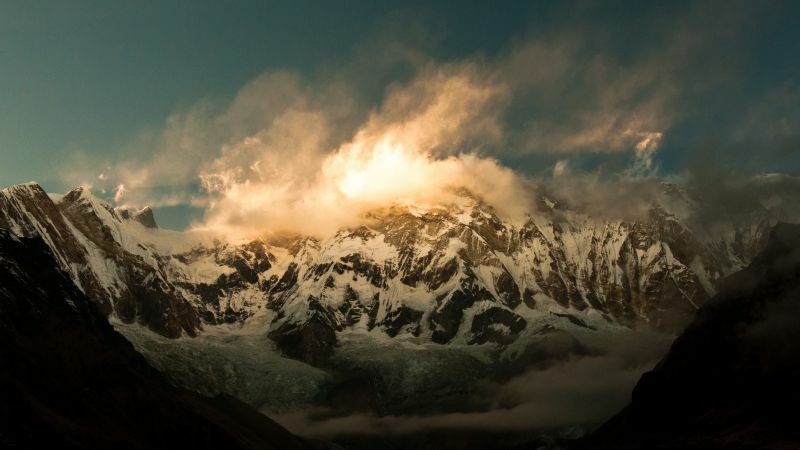 Beginning in extraordinary Nepal, this land locked wonder is most famous for being the primary home of the tallest mountain range in the world, the Himalayas! But the country is so much more than the staggering beauty of earth’s highest reaching limbs. A densely packed culture has been formed here over the millennia with powerful kingdoms, dedicated spiritual seekers & institutions, amazing food, and real life epics that no one could believe if they weren’t actually true! Many don’t even realize, but Nepal is also home to a sub-tropical jungle home to tigers, rhinoceros, & 68 other majestic mammal species! We’ll visit this corner of the country too because our camera’s won’t allow us to move on until we do! 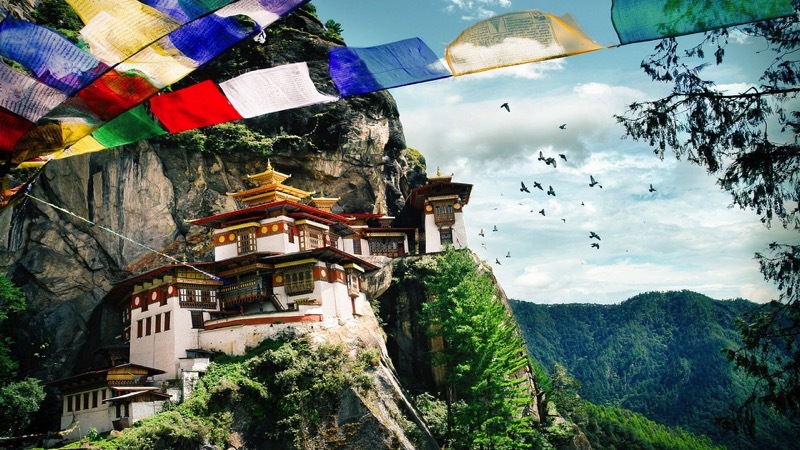 Just to the east, separated only by a thin state in India, is what the locals claim is the happiest country on earth, Bhutan! 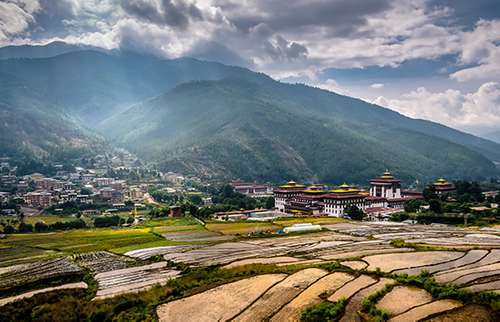 It would be a sin to come all the way to this planet’s dramatic eastern lands and not hop across the border to the magic that is Bhutan. This Bhuddist nation lies on the Himalayas’ eastern edge and is chock full of stunning mountains, towering monasteries, & foreboding fortresses. 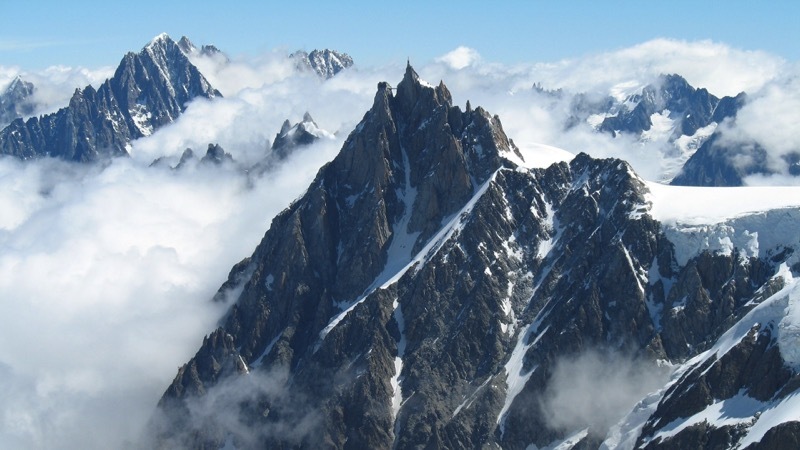 “Shangri-la like” valleys rest below the country’s high peaks creating heaven on earth higher and lower. Join us to meet these joyful people and perhaps we’ll learn how to enjoy life back home a little more after taking a hint or two from this incredible country. 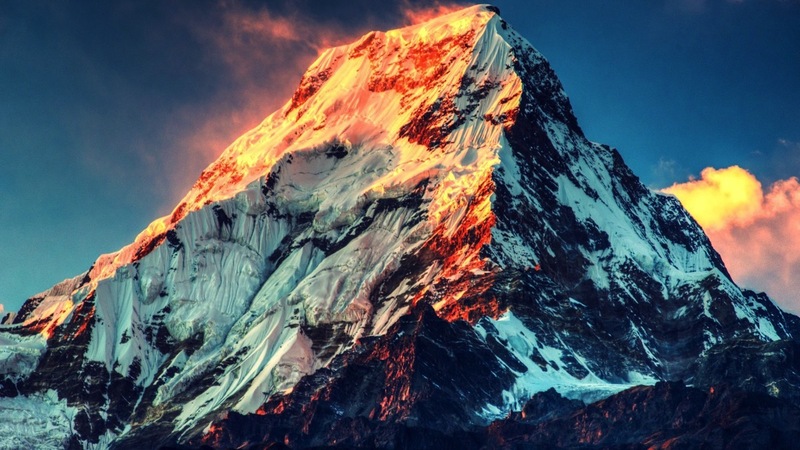 * 13 nights/ 14 Days throughout the best of the Himalayas! 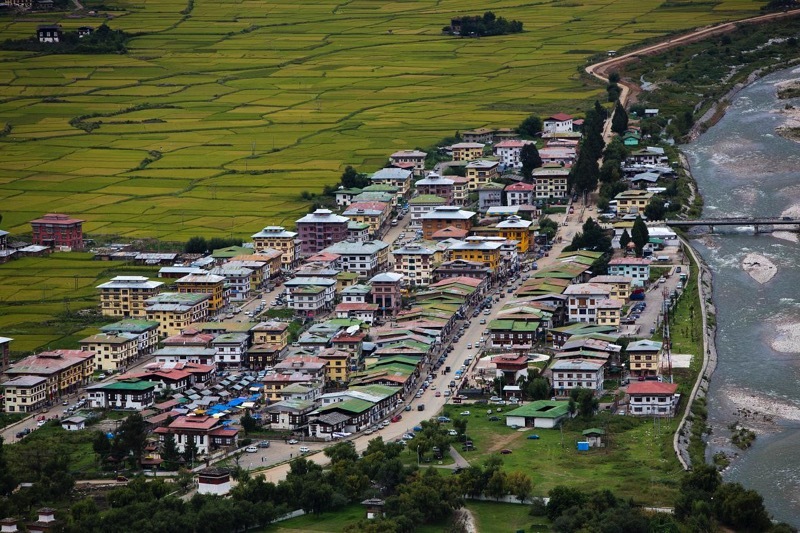 * 8 days throughout the greatest Himalayan Kingdom! * Perfect combination of culture, photography, food, & adventure! 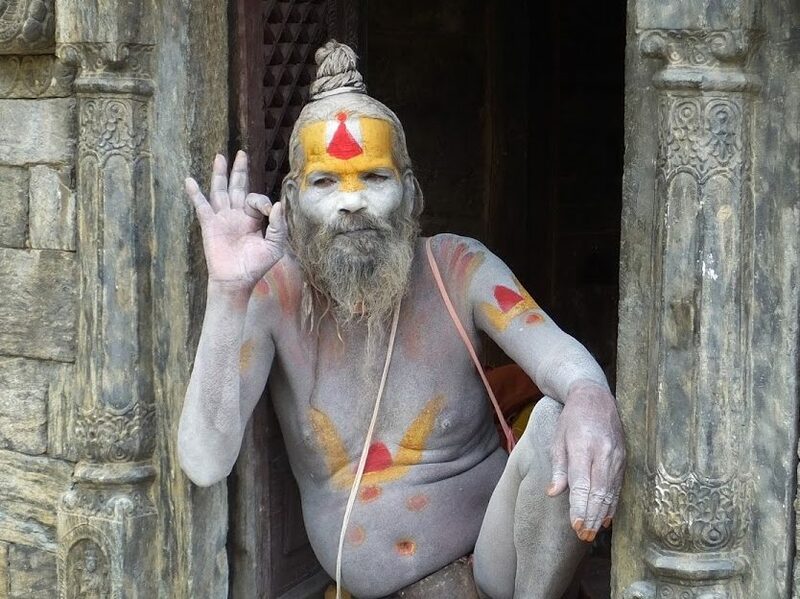 * We truly maximize our time to see the incredible diversity throughout Nepal which most trips don’t even know exists! * Best time of year to explore AFTER the monsoon has passed but before the tourist crowds take over! 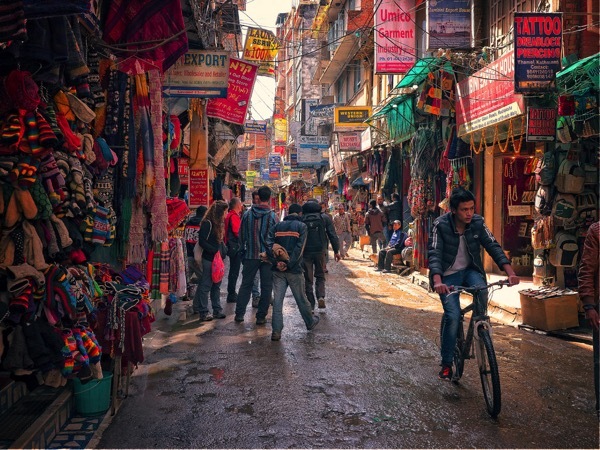 * Kathmandu City: Highlights include the temple of the Living Goddess & Durbar Square with it’s array of temples overlooked by the Hanuman Dhoka Palace, the ancient residence of the Nepalese Royalty. 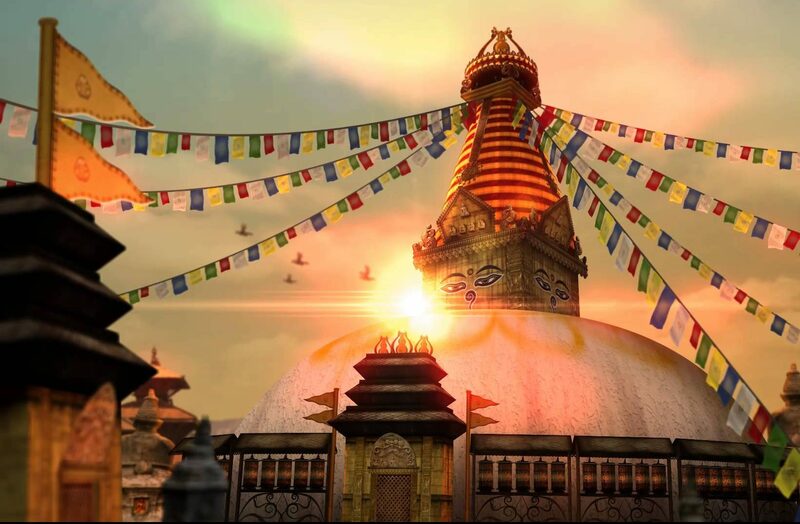 * Swayambhunath: Just outside the city proper is a hill with a mosaic of small Chaityas (shrines) and Pagodas temples. This is where this iconic 2000 year old Buddhist Stupa resides! Painted on the four-sided base of the spire are the all-seeing eyes of Lord Buddha overlooking the holy hill. Awesome images everywhere we look! * Patan: Historically known as Yala and located on the southern banks of the Bagmati River, this is one of the three main cities in Kathmandu Valley. It is believed to be the first settlement in the Valley and was established by the Kirat dynasty who ruled for more than 1200 years from the 3rd century BC! 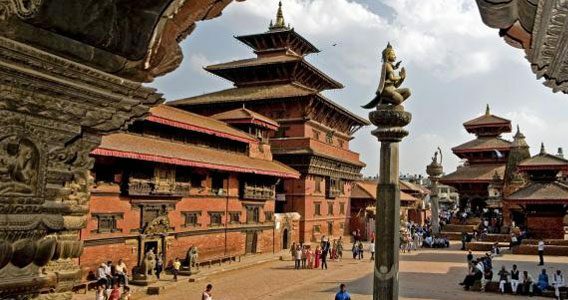 We’ll explore the cities amazing collection of fantastically carved temples, palace courtyards, water spouts, public baths and houses with their equally elaborate wood, stone and metal carvings under the patronages of the Kirat, Lichivi and Malla kings. 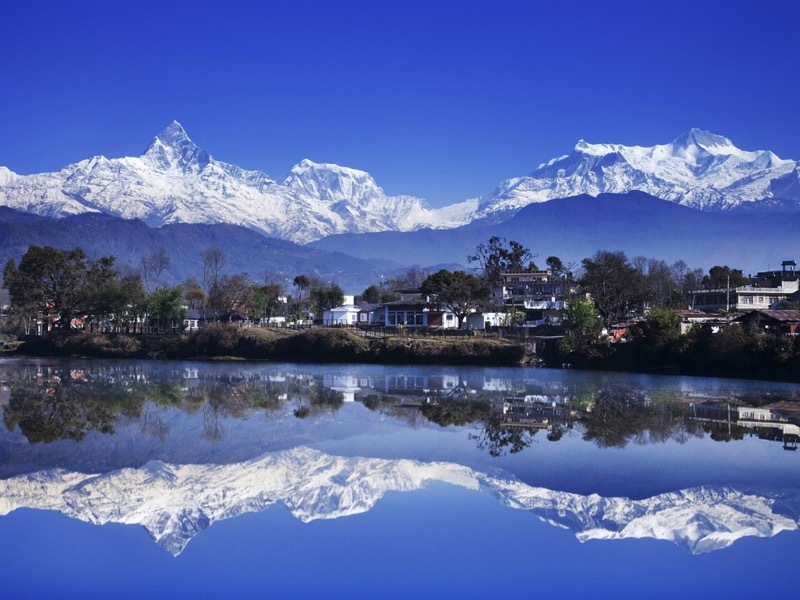 * Pokhara City Adventure: Discover the best of this “Shangri-La” Valley epicenter! * Davis Fall’s: Witness a unique waterfall 2 Km from central Pokhara City. It is believed that this deadly waterfall took the life of a tourist named Davis, who fell down into the canal and was never found, hence named in his memory by the people of Pokhara. * Gupteswor Mahadev Cave: One of the longest caves in Nepal, inside is a massive stalagmite worshipped as a Shiva lingam making it a venerable place for hundreds of years. On the way to the “temple” cave, there are shining stones all around us & rocks that resemble bee hives! * Fewa (Phewa) Lake: A mile long & second largest in Nepal, Fewa offers an excellent view of the mountains and their reflections on glass like water! In addition to the amazing photos we’ll get, enjoy a calming boat ride on her serene waters. * In Search of Tigers, Rhinos, & ?Sloth Bears? 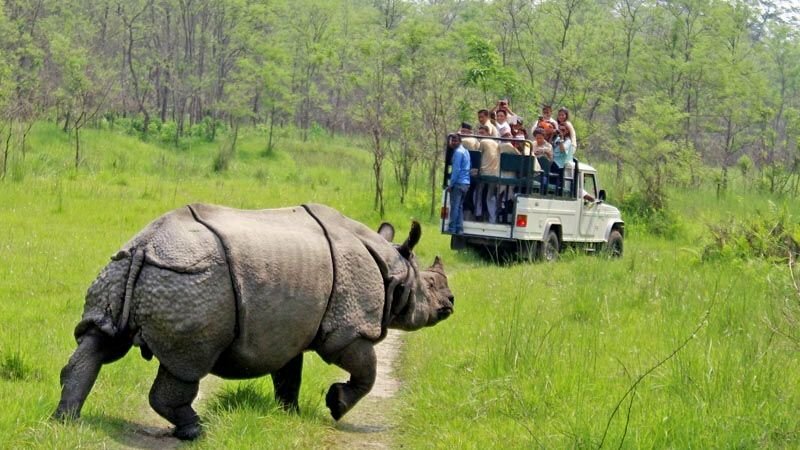 : That’s right, our time here will be spent on safari, exploring the gorgeous park to witness & photograph the beautiful Royal Bengal Tigers, One Horned Rhinos, AND, if we are lucky, even a sloth bear! Not to mention, endless other unique creatures & birds only found in this part of the world. * 7 days throughout the last real Himalayan Kingdom! 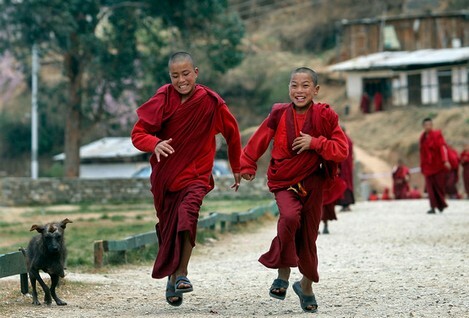 * Monasteries—often massive and awe-inspiring—are everywhere; monks, when not in meditation or doing chores, can be photographed playing games, sharing tales, simply laughing, or all three! * Low Volume, High Value Tourism: Perhaps the most sustainable approach to tourism in the world! * National Memorial Chorten: Envisaged by the third king of Bhutan, His Majesty Jigme Dorji Wangchuck, this landmark monument to world peace and prosperity is the beating heart of Thimphu. Completed in 1974 after his untimely death, it is both a memorial to the Late King (“the Father of modern Bhutan”) and a monument to world peace. * Indigenous Hospital: Explore the fascinating healthcare space specializing in herbal medicine discovered over thousands of years! * Traditional Paper Factory: 1500 times a day, one by one, and all by hand, a wooden frame with a bamboo screen filter is dipped into a vat of pulp and starch mixture, is swished around to allow a thin layer of the mixture to spread out evenly over the screen, and is transferred to a table where the screen is carefully removed to result in a single sheet of Bhutanese paper. A fascinating process to witness and photograph! * School of Fine Arts: Here, young students learn the traditional arts and crafts known as Zo Rig Chusum (the thirteen crafts). 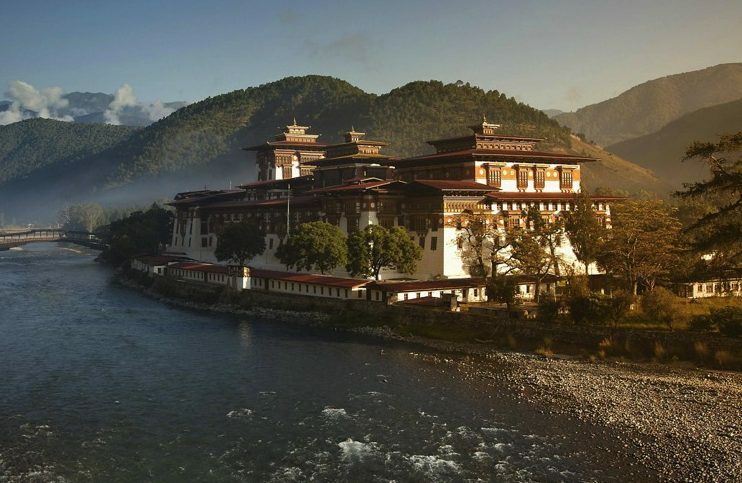 * The Palace of Great Happiness: Punakha Dzong’s (palace) inspiring translation is arguably the countries most beautiful building, especially in spring when the lilac-colored jacaranda trees bring a lush sensuality to the dzong’s characteristically towering whitewashed walls. 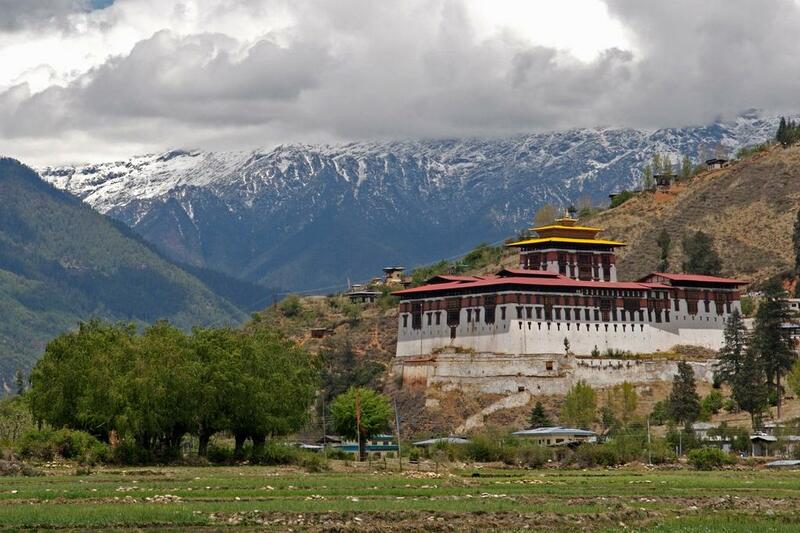 What’s more, all of Bhutan’s kings have been crowned here making it a sacred place for the royal lineage. * The Old Watchtower: Originally built to defend Rinpung Dzong during inter-valley wars of the 17th century, we’ll visit Ta Dzong, inaugurated as Bhutan’s National Museum in 1968. 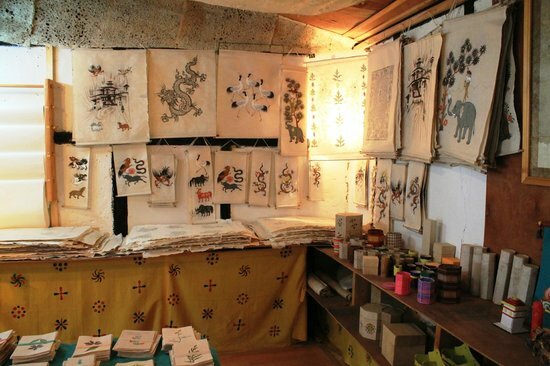 It holds fascinating collections of art, relics, religious thangkha paintings, and Bhutan’s exquisite postage stamps. * Rinpung Dzong: With a long and fascinating history beginning with it’s construction in 1646 by Shabdrung Ngawang Namgyal, the first spiritual and temporal ruler of Bhutan, the Dzong houses the monastic body of Paro, the office of the Dzongda (district administrative head) and Thrimpon (judge) of Paro district. This architectural wonder and the life around it are not to be missed and a must to photograph! * Taktsang Monastary (Tigers Nest): This incredible feat of human architecture and pure will has a name to match and is deservedly one of the most venerated and famous of Bhutan’s monasteries. 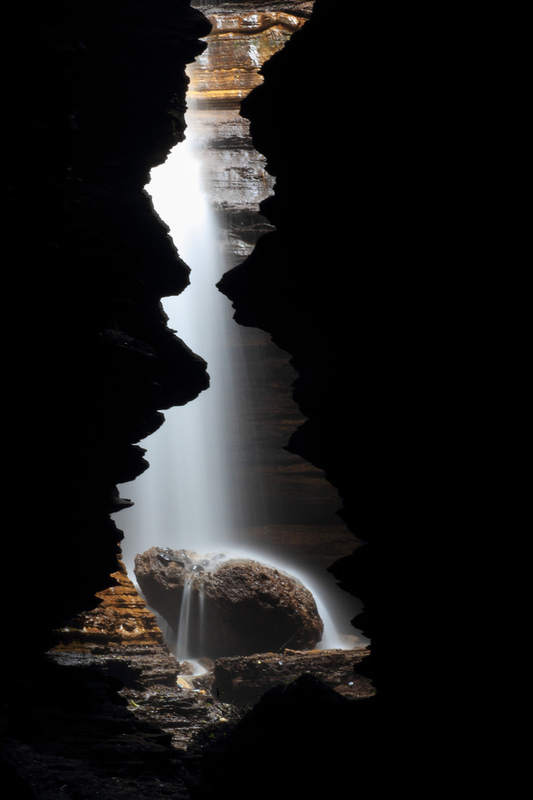 Located on the face of a 3000 ft sheer cliff, it is an unmissable masterpiece. During the walk (or mule ride!) to the great “nest”, savor the views and snap some shots of the monastery over a well-deserved cup of tea and biscuits before arriving at the high observation point (10,300 ft above seal level! ), to capture the ultimate image; then relax while overlooking the love affair between humans & nature that came to be so many years ago. Once inside the monastery, shrines are everywhere but only with a few resident monks tending to them. We’ll enjoy the peace and serenity of this remarkable place before heading back outside to the stunning landscapes all around. * Specific arrival/departure times needed will be sent directly to the group. *There is a $100.00 administrative fee for all cancellations. Cancellations made 120 days or more prior to trip departure date are fully refundable except for the $100 fee. Cancellations less than 120 days prior to trip departure date will receive no refund of full amount due. No refunds on unused portions of the tour. After airline tickets are issued, airline cancellations are per the airline’s policy and are usually non-refundable and changeable with a fee plus new ticket price. Travel insurance strongly encouraged (ask us about policy options).